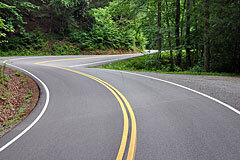 In an old yearbook, one of my English teachers once wrote, "The bumps in the road will only be smoothed out by you." I've often wondered exactly what she meant by those words, but today, as I work on my current literary project and other writing projects for clients across the country, I think I finally understand her meaning. she wrote because she knew that I was a writerthat I would become a writerand as such, would face a myriad of creative and professional challenges that I would likely have to tackle on my own. After all, there is no way to learn how to write other than by doing it, and no way to make a living at it that doesn't require that you keep learning how to make a living at it. Read complete welcome letter from Bronmin. 2010 © Bronmin Shumway. All Rights Reserved.